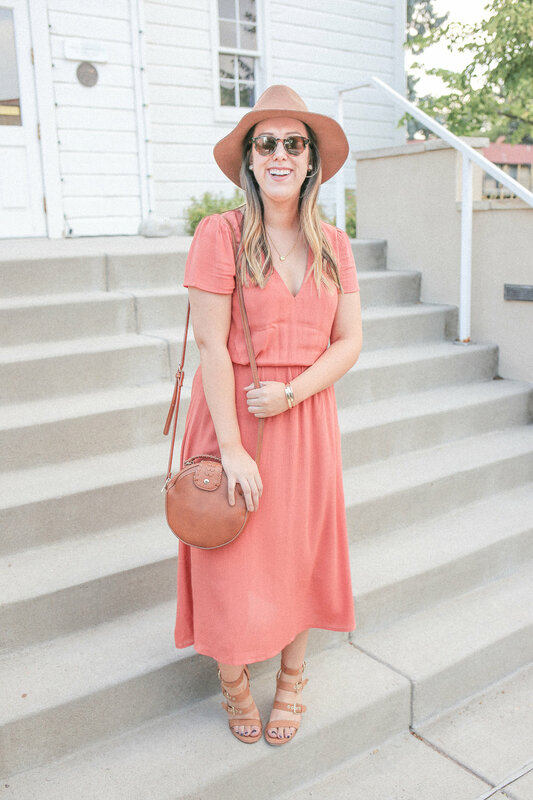 This orange midi dress is perfect for transitioning into fall! 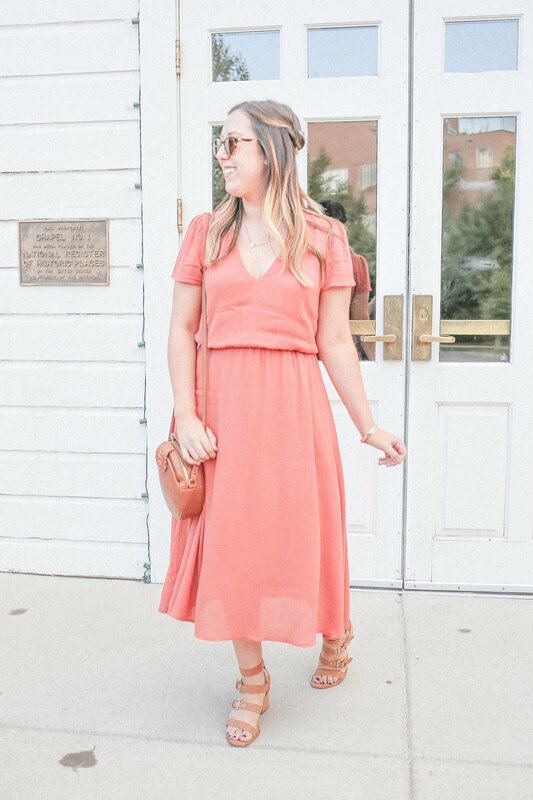 It's light and flowy, while the midi length provides more seasonal wear. This dress has a crepe-y fabric and is extremely soft! I stayed true to size, but could have sized down as the waistband is elastic! 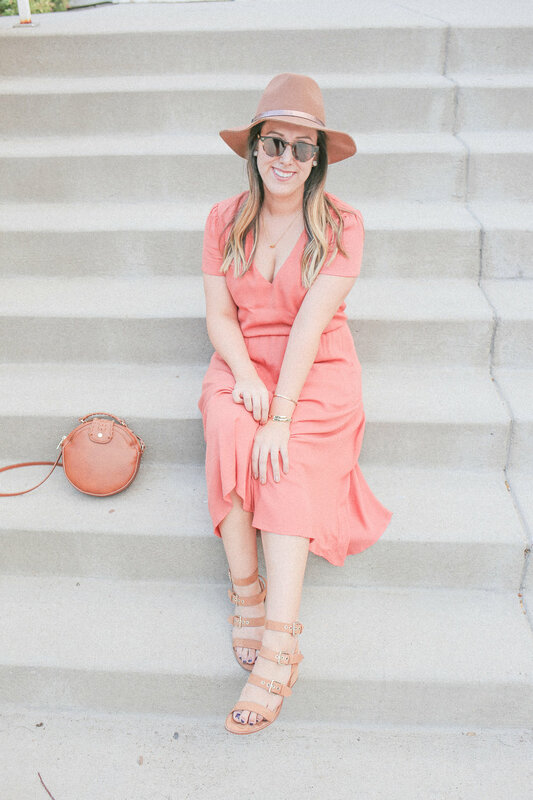 Dresses are one of my favorite ways to transition into seasons and this orange color could not be passed up! As the weather cools it can be paired with booties and layered with a chunky cardigan or even a striped tee with a side knot. Are you ready for fall? I am SO ready! Please let me know if you need help styling any specific pieces as we head into fall - there are so many different ways to style a transitional look. In the meantime, shop this look below!